Locality: United States, Colorado, Jefferson, S. Table Mt. 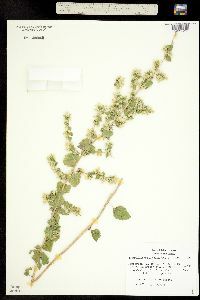 Habitat: Lone shrub in pit of disturbed area of lava gravel; little other vegetation. Notes: 7.5 min. Morrison Quad.